These were included with my car by mistake from the dealer. Swapped them out for a set of B9 S4 winter mats and he let me keep these. Perfect condition, only used for 30 days/500 miles. Hi - where are you located? Is there a diff. 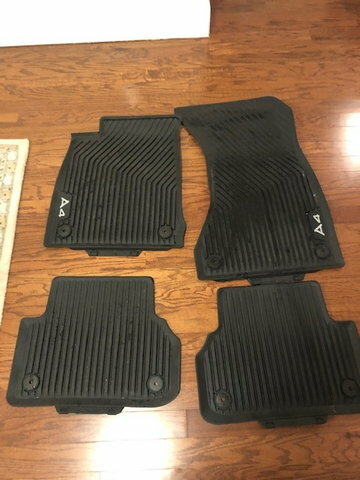 between oem all weather mats, and oem all weather sport mats? Question re:Winter mats. Are the weathertech mats larger than the stock mats and do they snap?